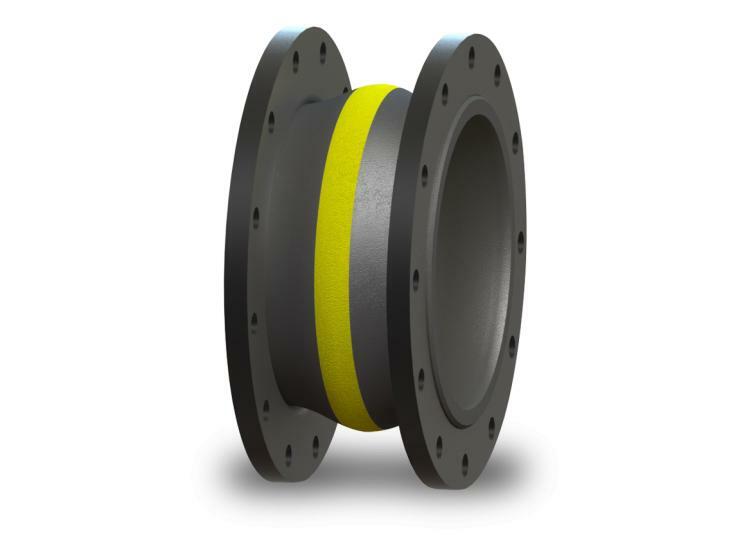 GARFLEX® 8100 expansion joints feature rugged yet flexible nylon cord reinforcement in a molded spherical bellows design that ensures an exceptional burst pressure rating. The streamlined flowing arch design reduces turbulence and allows smooth, quiet flow-no need to fill the arch and restrict its movement. GARFLEX® 8100 meets the requirements of ASTM F1123 and Navy/Coast Guard Specification 46CFR56.60-25(E). Tube — Nitrile bellows with rugged nylon tire cord reinforcement ensure strength yet flexibility. Incorporates a flowing arch design to eliminate product buildup.